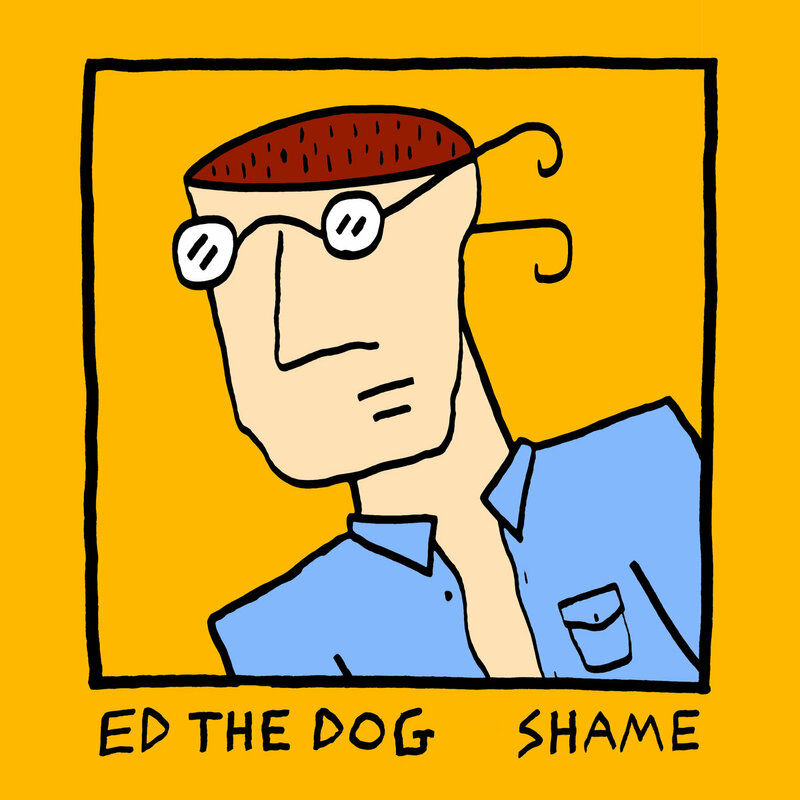 High Wycombe artist Ed the Dog released his debut album ‘Shame’ on 27th July and it’s packed full of 90s vibes and similarities to Weezer. Ed Wettenhall made the bold decision to quit his admin assistant job, retreat to his attic and write the album, following the break-up of his previous band Fish Tank in which he was frontman. Written, performed, recordedand mixed by the man himself, Shame has already been turning heads on Radio One and Radio 6, baggingAlbum of the Week on Huw Stephen’s show this week. If you’re a fan of fast-paced, punky pop then you’regoing to absolutely love this. It’s fair to say that there’s a lot going on in this album – perhaps more than can even be squeezed into a review. It’s one of those that you really have to listen to and appreciate each loop, pattern and riff. But I’m going to give you a little flavour that’ll entice you to listen. Opening track Funny Turns sets the scene as dynamic pop soundscapes flood through my speakers and the comparisons to Weezer start to shine through. It’s brimming with explosive vocal bursts surrounding delicate intricate plucking and growing metallic jingles. top of the boisterous nature of the album and exposes the true brilliance of Wettenhall’s vocal ability. A Good Thing opens on “I’ve been waiting a long time for somebody like you” and lays bare a tragic love song as Wettenhall continues “and now you’re leaving me.” Probably my favourite track on the album, it’s got British guitar-rock undertones seeping out against the predominant Americana vibes felt throughout the whole LP. It’s easy to see why ‘Shame’ has been turning heads so much already and if anything, I’d expect Ed The Dog to become somewhat of a cult hero. The production is awesome, each track flows into the other and it feels very much like a full portfolio of Wettenhall’s talents. Big thumbs up from me.